I am a proud mom today! 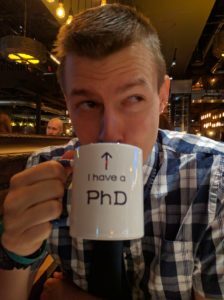 My previously homeschooled son just successfully defended his doctoral dissertation and can now put those magic letters – PhD – after his name. This entry was posted in Homeschooling on November 25, 2016 by Norma Esler.